MTS4 TETRA Base Station - ConnecTel, Inc. Built and designed for future communications needs, the MTS4 is TEDS Ready - software upgradable to support TETRA Enhanced Data Services (TEDS) - the platform for secure mission critical high speed data services. Providing support for X.21, E1, IP-over-Ethernet and MPLS, the MTS4 enables operators to utilize the most efficient and cost effective transmission networking technologies available today and in the future. C-SCCH Ready – software upgradable to support additional control channels on the main carrier, quadrupling existing capacity. Best-in-class transmitter output power and receiver sensitivity, together with various diversity options, enabling a reduction in the number of sites required to achieve a given level of coverage, and increased data performance and enhanced audio quality. The flexibility of connecting up to 8 BR’s to just one Rx/Tx antenna, easing implementation costs and reducing cycle time. Better power consumption through use of high efficiency processing and amplification platforms – delivering significant operational cost savings over the network’s lifetime. Reduced transmission costs – native MPLS support using IP-over-Ethernet capability means that the MTS4 can enable up to 70% savings compared with non-IP based transmission. 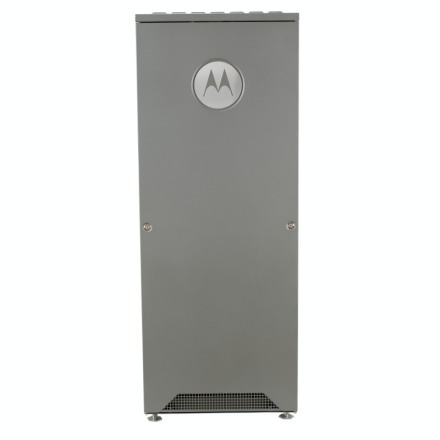 Reduced battery capacity requirement and low heat dissipation due to excellent power efficiency. 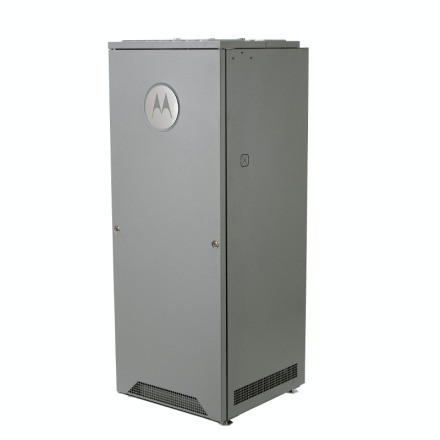 With a strong integrated battery charger, power supply costs are kept to an absolute minimum. Two E1 or Ethernet interfaces can be provided with the MTS4 to facilitate implementing link redundancy using ring configurations. Redundant E1 and Ethernet ports can be activated in the event of link failure, ensuring continuous connectivity. Local Site Trunking – in the event of site link failure, the base station is able to operate independent of the mobile switching office, maintaining secure talkgroup communications throughout. Non-GPS operation – supports operation in the absence of a GPS signal, ideally suited to underground applications. Full redundancy of site controller and base radio subsystems including support for automatic Main Control Channel switching. External alarm interface supports 15 alarm inputs and 2 external control outputs. Lockable door equipped with standard alarm contacts – an effective intrusion detection system.